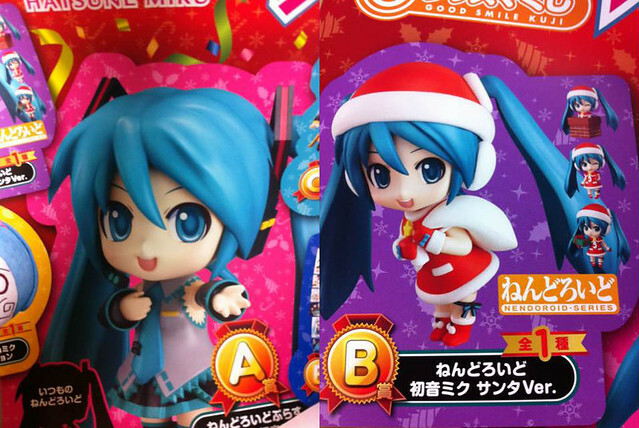 Yep, it seems that the rumor is true after all: the 30cm-tall Nendoroid Jumbo Miku and Santa Miku will be available as Goodsmile’s Christmas Lottery event Prize A and B, respectively. 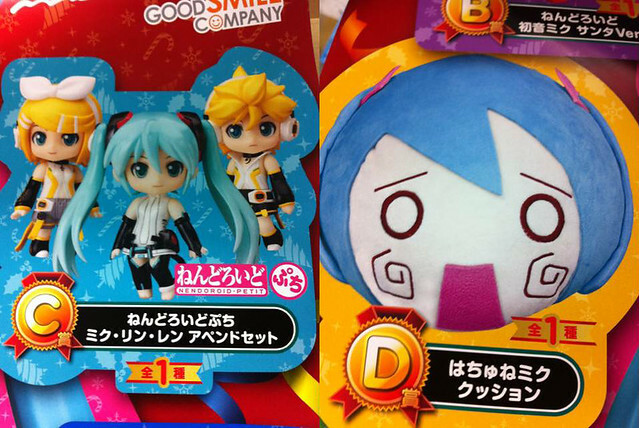 The lottery event will start on December 4th and more information is going to be available on http://kuji.goodsmile.jp starting Thursday. 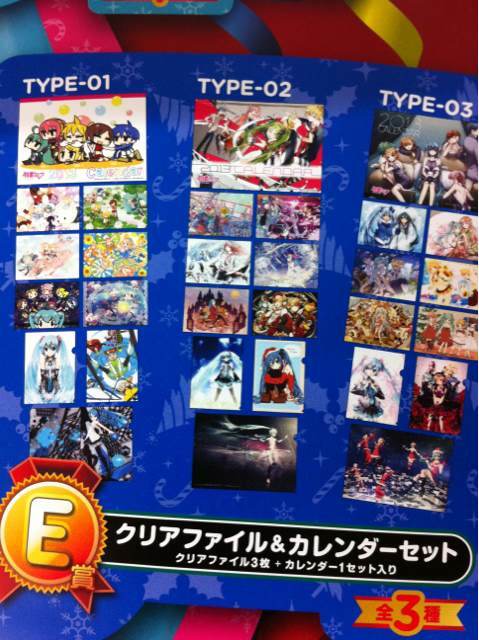 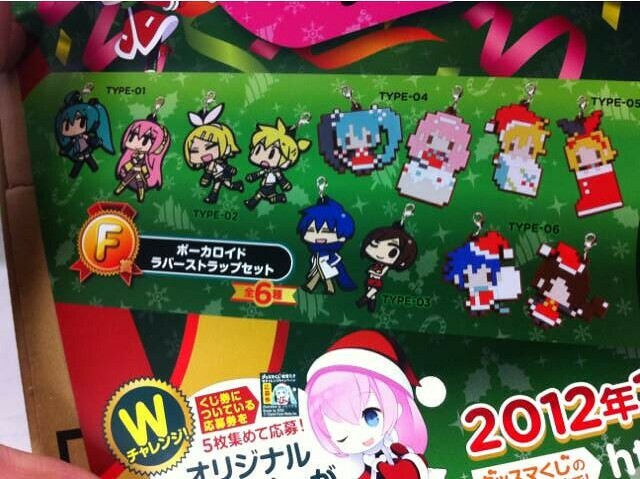 This entry was posted in News and tagged append, christmas, family mart, famima, good smile company, gsc, hatsune miku, kagamine len, kagamine rin, kuji, lottery, megurine luka, nendoroid, vocaloid, xmas. 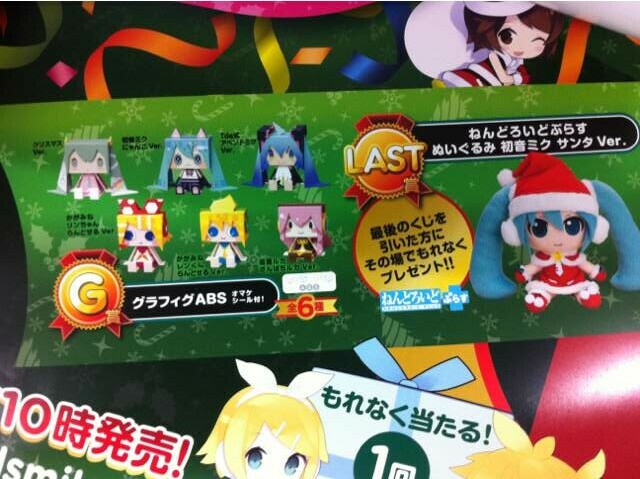 Actually, it looks like the Santa Miku isn’t Petit – it’s just Nendoroid Santa Miku, regular size.